Instagram. This wonder of an app has totally changed how we share and post photos – more specifically, it’s changed our standards on what is worth a “like” or not. However, an aspect of Instagram that we tend to forget about (just like we forget how we got to scrolling through your friend’s cousin’s girlfriend’s insta feed) is personal branding. Instagram is an app all about personal branding. What you post, the frequency of your posts and youre post’s content all contribute to how your followers and potential clients perceive you and your business. So, next time you decide to whimsically post that “risqué” photo onto Instagram – think. Is this post contributing to my personal brand in a way that reflects how I want to be perceived? First, think about your brand’s aesthetic. What comes to mind? Is the photo you want to post going to contribute to that aesthetic or picture in your mind? If you are unsure of your brand’s essence, your followers will be unsure too. Make sure you know #whoyouare before clicking post. Going off of that hashtag, use them! Hashtags can help your posts reach a whole new demographic of followers if you know how to do it properly. Make sure all your hashtags are #relevant and #concise to your business. And don’t overdo it. Sometimes less is more. 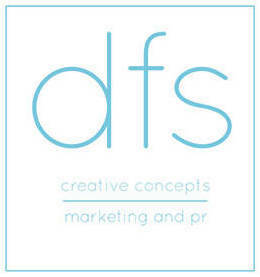 Being a new social media strategist here at DFSCC, I was excited when Dorothy gave me the task of taking over social media account strategy (though we all present and weigh in, and aren’t on an island). It was on me to present to our team my knowledge of best practices can be put to good use for the benefit of those we serve. However, after lots of industry and company specific research, teamwork, developing the company’s voice, understanding their audience and knowing their personal brand #goals, I have come to truly love putting these puzzle pieces together and seeing the metrics and analytics to prove the success.